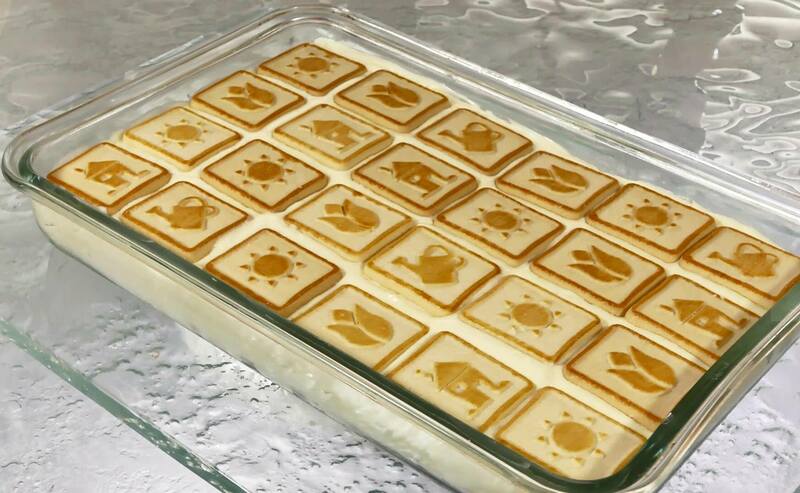 Line the bottom of a 13x9x2-inch casserole or baking dish with 1 bag of Chessman Cookies. In a bowl, combine the milk and pudding mix and blend with an electric hand mixer until thickened. Set aside. In another bowl, combine the softened cream cheese and condensed milk. Mix with electric hand mixer until smooth and creamy. Fold the Cool Whip into the cream cheese mixture. Add the cream cheese mixture to the pudding mixture and stir until well blended. Slice bananas into ½ inch discs. Cover layer of cookies with banana slices. Spoon the pudding and cream cheese mixture evenly over the cookies. Cover with second container of Chessman Cookies. Refrigerate for several hours or until ready to serve. (The longer the pudding is refrigerated, the softer the cookies become.) Serve 1-2 cookies per serving. Optional: Top with whipped topping and 2 slices of banana.